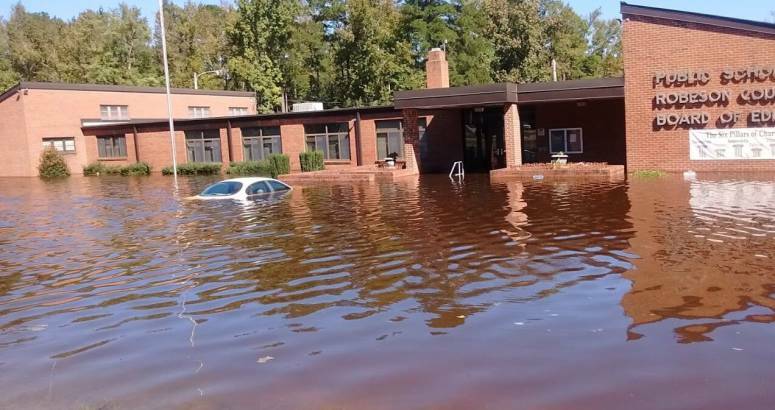 Rocky Mount, NC – The Golden LEAF Foundation’s Board of Directors today voted to allocate the remaining $14,347,101 in Disaster Recovery Program funding received from the North Carolina General Assembly after last year’s hurricane and tropical storms. As of today, the Board has acted on all disaster recovery applications. Golden LEAF has supported 74 projects — including 22 applications today — for community needs including the repair or replacement of public buildings, equipment, and infrastructure; new infrastructure to serve new housing developments; and loan capital to support small business recovery. The Foundation was able to allocate all disaster recovery funding in less than a year. Hurricane Matthew swept through rural Eastern North Carolina in October 2016 causing unprecedented flooding, resulting in one of the state’s worst natural disasters on record. The General Assembly responded with two pieces of legislation to support disaster recovery that included a total of $55 million appropriated to the Golden LEAF Foundation. The Foundation was asked to process applications and distribute disaster relief funding to qualified grantees quickly and efficiently without duplicating the efforts of other funding resources. Within months, the Foundation hired experienced staff, conducted outreach meetings with local officials through partnerships with the North Carolina Association of County Commissioners and North Carolina League of Municipalities, developed and distributed grant application forms, coordinated with various state agencies in Gov. Cooper’s administration, and visited project sites across Eastern North Carolina. The service was provided without charging administrative costs outside the scope of the Foundation’s traditional operations. The first grants were made in April 2017. Enabling two hospitals — Cape Fear Valley and Southeastern Health — to prepare for future disasters with the construction of potable water wells. Click here for a list of Golden LEAF Disaster Recovery projects.